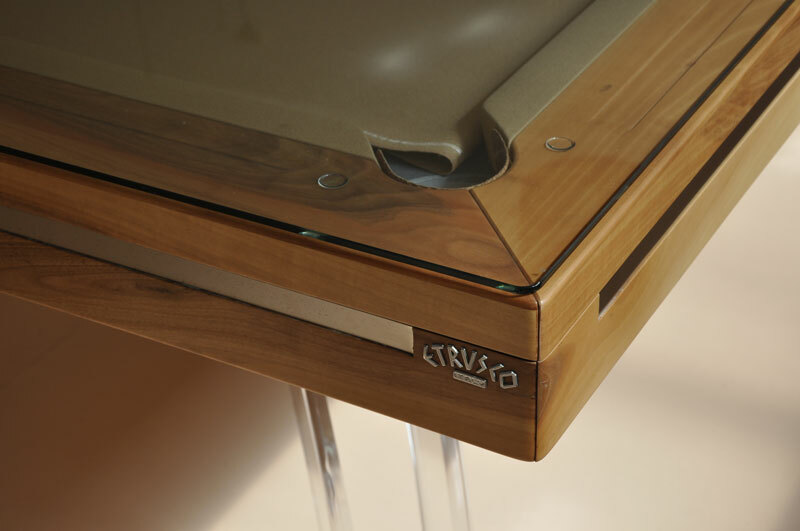 The Etrusco P40 Real Leather Pool Table comes with Free Delivery and Installation (worth £500), over £800 of Free Accessories, plus we are the sole authorised UK retailer. This Real Leather P40 pool table is finished in real leather, with high-quality stitching. The body is still made from the same solid wood, but covered in a beautiful real leather finish for the ultimate in luxury. This P40 features a real leather finish, which looks incredible. Real Stitched Leather Dining Top - at extra cost: to match the leather of the table. Please ensure you choose the correct Dining Top and Dining Top Size options from the drop-down menus when choosing leather dining tops.